Hi All and as a new member I would like to say hello especially to all Specto enthusiasts. I recently acquired a 8mm, a 16mm and a 9.5mm Specto 500. The 9.5mm has a seized rheostat and during efforts to free it off, the spindle snapped. There's nothing on the rheostat to identify the spec except ERG. 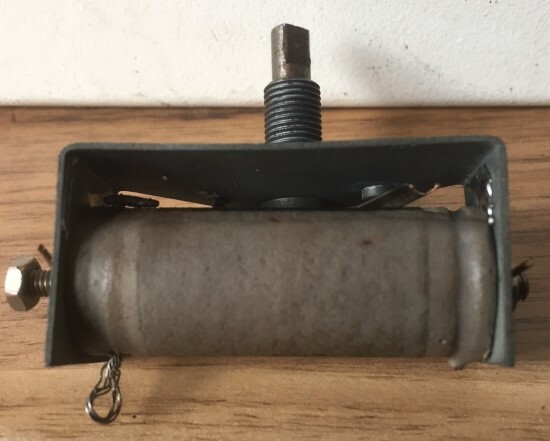 I have uploaded a couple images andwould ask if any of you can identify the unit or give me spec for a replacement. I know the motor is 240v but can someone let me know the wattage please. Finally, has anyone a schematics for the wiring? I know this question has been asked before but I can't seem to find and answer on here. Martyn Stevens who runs "Cinerdistan" might be able to help. He often has "bits and pieces" of many old projectors. Hi Maurice, many thanks for answering, I have contacted Martyn and he may be able to help.